Providing reliable network connectivity to remote IP security cameras or extending coverage to guest homes, boat docks, and outbuildings can be a considerable challenge. Trenching and running cable has historically been the only viable option—one that is often disruptive, expensive and certainly labor intensive. The relatively recent advent of wireless mesh solutions helps resolve some of these challenges, while introducing others. Such mesh technologies are designed for large municipal and campus projects and can be prohibitively expensive for residential or smaller commercial networks. So what is a cost-effective alternative to running cable or installing an expensive mesh network? A high performance wireless bridge might be the right answer. At What Distance Can a Wireless Bridge be Effective? Key to the successful implementation of a wireless bridge is the equipment being used. The Luxul Xen™ High Performance Outdoor 802.11n Wireless Access Point (XAP-1040) is designed specifically for optimal coverage and distance. 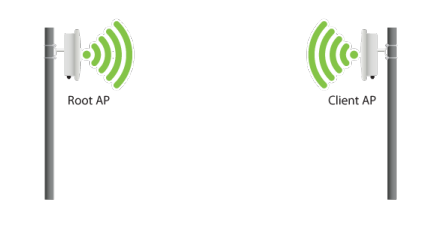 Because it transmits at the FCC maximum allowable output power (1W) while also implementing unique antenna properties, the XAP-1040 allows for a wireless bridge connection that is several times the distance of traditional APs. With reasonable line of sight, integrators have established high data rate links over several miles using two XAP-1040 APs. A common application of the XAP-1040 wireless bridge system is to connect IP security cameras in remote locations. Setup is simple and straight forward as shown in Image 2. 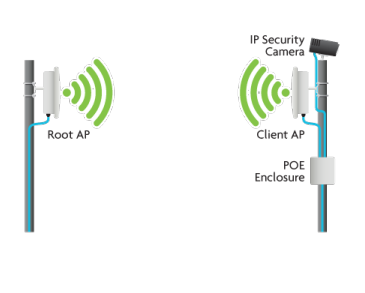 In this example, Access Point A is the root and is connected directly to the network. Access Point B is the client at the remote location and will be used to share the network with the IP security camera. Power is also required at the remote location. Both the AP and the IP camera are powered using Power Over Ethernet (POE) and are connected to POE injectors via Ethernet cable within a weather proof box located at the remote location. The data ports of both injectors are connected to allow for camera data/images to be transmitted over the network. Luxul recently moved into new corporate offices and manufacturing facilities. The two buildings are located approximately 1 kilometer apart with roof tops being mostly line of site. To streamline the Luxul network, we opted to bridge the main network in the corporate office to the manufacturing facility. This was easily accomplished by placing XAP-1040s on the rooftops of both buildings and aiming them towards each other. The connection between the two APs resulted in a sustained 10Mbps of data throughput—more than sufficient to handle all network functions, provide complete building Wi-Fi access, and run IP security cameras at the facility. 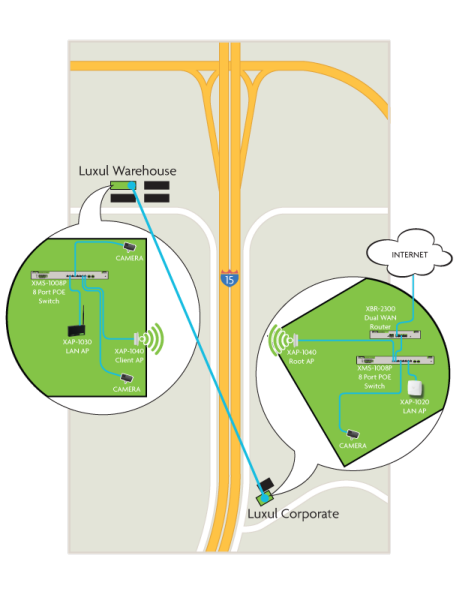 The XAP-1040 at the manufacturing facility was then connected to a Luxul Xen™ 8-port Gigabit Ethernet Smart POE Switch (XMS-1008P). The XMS-1008P is used to provide both power and data connectivity to IP security cameras and a Luxul Xen™ Commercial Grade Omni 802.11n Access Point (XAP-1030), which provides complete wireless coverage to the entire facility. Image 3 shows the map and network topology. By using a wireless bridge we were able to simplify and optimize the entire network—providing ample data throughput for the manufacturing facility while minimizing costs and installation time. Besides being a great way to optimize our network, this was a perfect opportunity to use our own gear in a real world setting. Installers of commercial and residential networks and IP security systems can benefit by understanding how to best provide remote connectivity. When implemented properly and using the right technologies, wireless bridging can be an efficient, simple and cost-effective method for extending network coverage, connecting remote IP security cameras, and network sharing.